Now, Sarah and Abraham were very old and they had no children. Sarah had a maidservant named Hagar. Abraham listened to his wife, Sarah and slept with Hagar. Later, Hagar became pregnant. 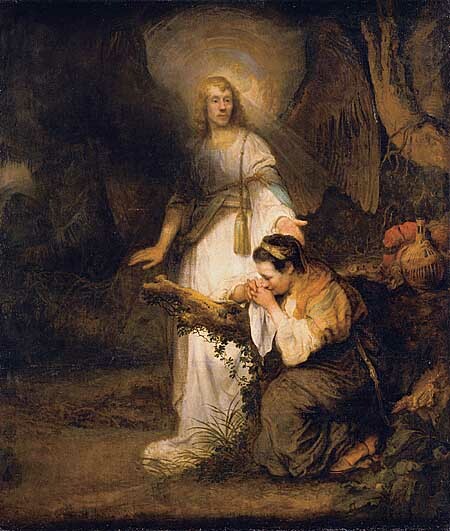 When Hagar saw that she was pregnant, she began to despise her master Sarah. Abraham replied, “Hagar is your maidservant so do anything you want to do to her,” Sarah treated Hagar cruelly and Hagar fled from her. The angel of the Lord told Hagar that his son will be called Ishmael because the Lord has heard her difficulty. The angel of the Lord also told Hagar that her son Ishmael will be a wild man. So Hagar called the angel of the Lord who speaks to her “You Are the God Who Sees” and the well Beer-Lahai-Roi. Hagar went back to her master Sarah. She bore a son and she called him Ishmael. Abraham was eighty six years old when Ishmael was born to him. Thank you for all you are doing here! You are a great blessing!